Around 30,000 Cornish PRC units were built from 1946 to the 1960s, to supply a great demand for new homes following the bombing raids of World War 2. There were two types of Cornish unit, the type 1 and the type 2. Both were classed as defective housing under the 1985 Housing Act and now require repairs under the PRC Homes License to be mortgageable by money lenders. The Cornish units often appear as bungalows with the first floor appearing behind a mansard tiled roof. A PRC repair on a Cornish unit takes around 4-5 weeks and can be carried out whilst the house remains inhabited. 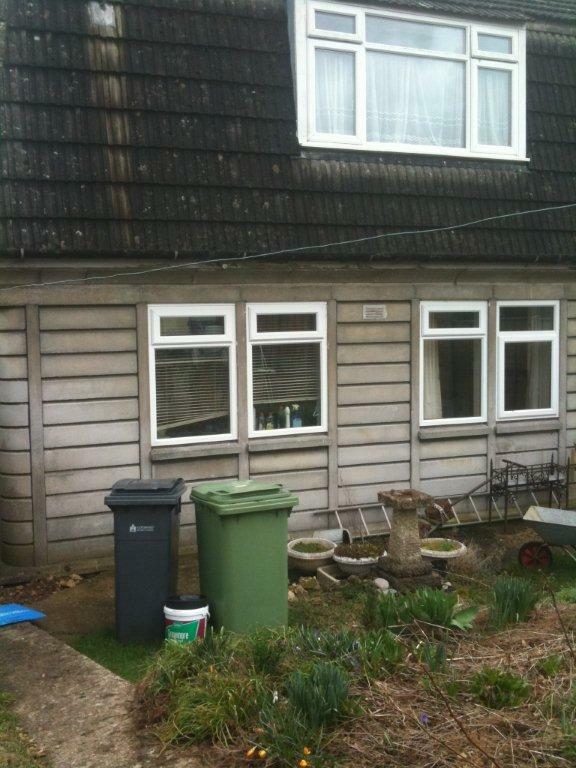 A Cornish PRC home with the original walls and structure, before we started work. The same Cornish PRC home, after we had finished repairing the structure and walls. The Right to Buy scheme also applied to PRC homes, including Cornish PRC units. This scheme could allow you to obtain a mortgage for your home without any savings or deposit, you may even be entitled for a discount up to £77,000! To find out more, take a look at our Right to Buy mortgages for PRC housing page and see how the scheme could help you. As much as we wanted to undertake the PRC- Repair; the thought of all the disruption, the aggravation, a group of ‘builders being builders’, filled me with apprehension, especially with my husband being away most of the week, leaving me to cope with our 10 year old son, a very frail grandfather and a business to run. I prepared myself for 8 + weeks of endurance. The reality, however, could not have been further from my expectations. •	Steve ensured I was fully abreast of all activities and developments, regardless of whether or not I would have noticed (or understood)! •	The team went out of their way to ensure grandfather was still able to access the house as fully as possible. This included an entire afternoon of trying to relocate the stair lift on the temporarily narrower staircase. •	I never once felt intimidated by inappropriate language or behaviour and they all interacted brilliantly with my son and the other children in the road. •	The business was not in the least effected by the ongoing activity. •	Every night, the outside was left clean, tidy and safe. •	The speed and efficiency of the work was incredible. The guys were usually on site by 8am and often worked well past 5pm (even when the clocks changed). Tea breaks and lunch breaks were so swift, I often hadn’t registered they had stopped. There were only two (2) occasions where weather got the better of them (very, very wet)! All of neighbours in our road and those beyond were commenting on the efficiency, compared to similar projects they had witnessed. •	I never once felt unable to leave the house whilst they were on site. •	Steve even went out of his way to contact us one weekend when there were particularly aggressive storms, to ensure all was ok.
SC Construction and Build Ltd are a truly amazing company. Value for money, professionalism, quality, exceeding expectations….. Just a few of the descriptions that spring to mind when I think of this amazing company. My family and I would have no hesitation in recommending Steve for any contract, be it domestic or commercial. This really was a case of under promised and over delivered.